Slade. 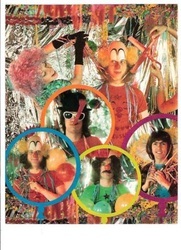 Noddy Holder, Dave Hill, Jim Lea and Don Powell. Between 1972 and 1986 they were the main focus of my life. I lived and breathed the band. 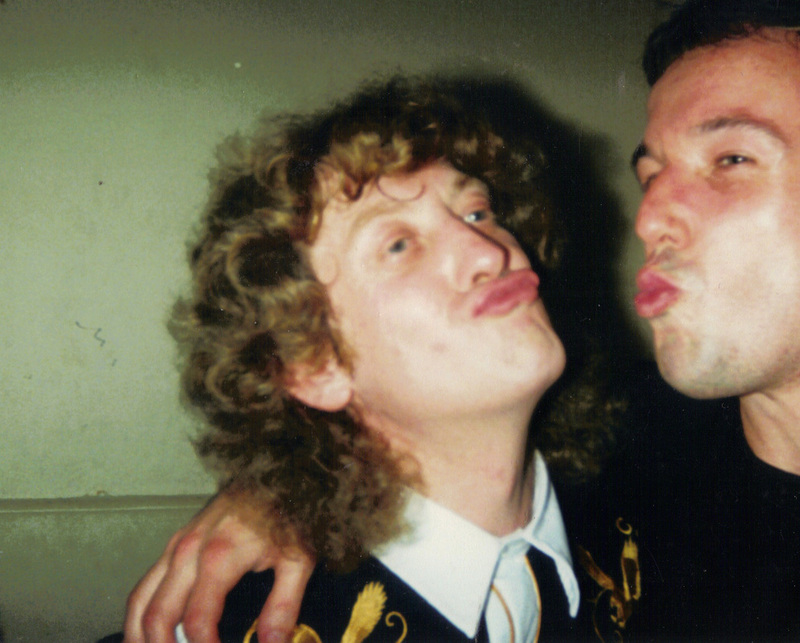 In tribute I have created my own website about the happiest times in my life - 15 years following Slade. This is a venture I've been meaning to do for years - but have only just got round to finding the time. I hope you enjoy. And by the way, I still follow the band. I look out for them all the time. I don't think that an internet search engine passes me by without inputting "Slade" to see what results show. The band are just not the main focus of my life anymore - but I still care about them and cherish the good times I had following them. I was born in Paddington, London, in 1960. I was a regular kid, an only child from a regular working class family. I became a Slade fan when I was 12. Shortly after becoming a fan I was fortunate enough to see them play live (March 1973) . 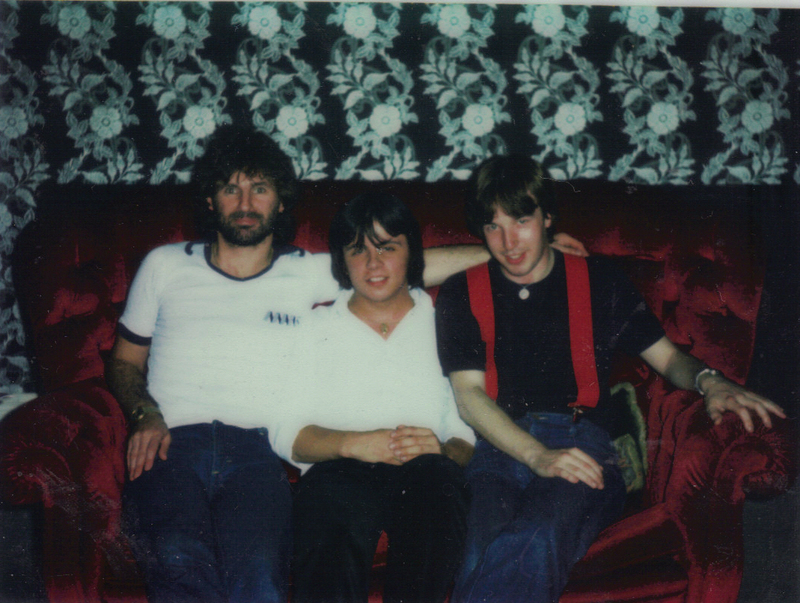 Next, I actually met them (in June 1973) and then decided to spend my youthful years following the band all over the UK. For several years the band were the main thing I lived for. 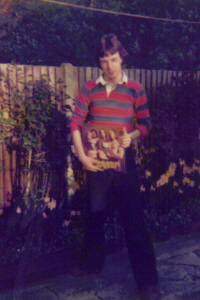 I eventually was lucky enough to re-start the Slade Fan Club, and run it with the band's official approval (1979). I was pleased to become very close to all the band members and their families. I have fond memories of these times and before I forget them all I thought that I would put them down on the internet. This website therefore is really for my personal use. It's to act as my diary. It will sit in the past. 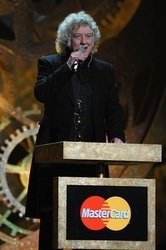 And it will be my personal memories of my teenage years and the fun, laughter and tears of following, who I consider, were Britain's greatest rock band - Slade. I'm afraid that via this site you won't be able to find updates on what Slade (2) are doing now. I don't actively follow Dave and Don's band - although I have seen them 11 times in concert. 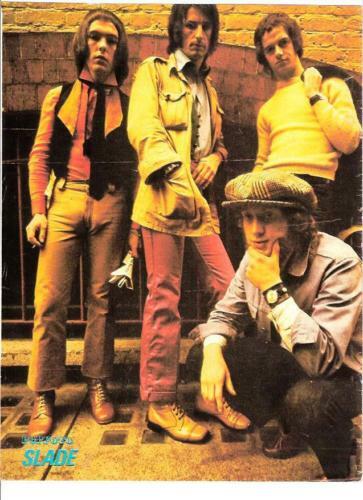 I have chosen to keep my memories of Slade as they were when the band consisted of the original foursome. However, I wish Dave and Don well. It's fantastic that they are still playing together and travelling all over the world. I don't intend to update anything once I've published it, however I will add more memories - when my memory is jogged and I remember extra things. If you're a big fan, then I hope you find this site interesting. It might contain little facts about the band that you were unaware of. Sorry if some of the info is trivial - but the throw-away facts are the things that I tend to remember! You will see I have published galleries of some of my own personal photos - that I have kept private up until now. Please - do not use any of these without my authority - drop me an email if you want to use any. Me and the long-suffering Babs. If you enjoy my site then please let me know either by email to noizefeeler@aol.com or via the Guest Book. I have really enjoyed this project. After years of having my Slade memorabilia stored away it's made me get all the boxes out of the loft and look through it all again. All the memories came flooding back as soon as the first box opened. I have relived the highs and lows of the great rock and roll band who took up such a great portion of my life. 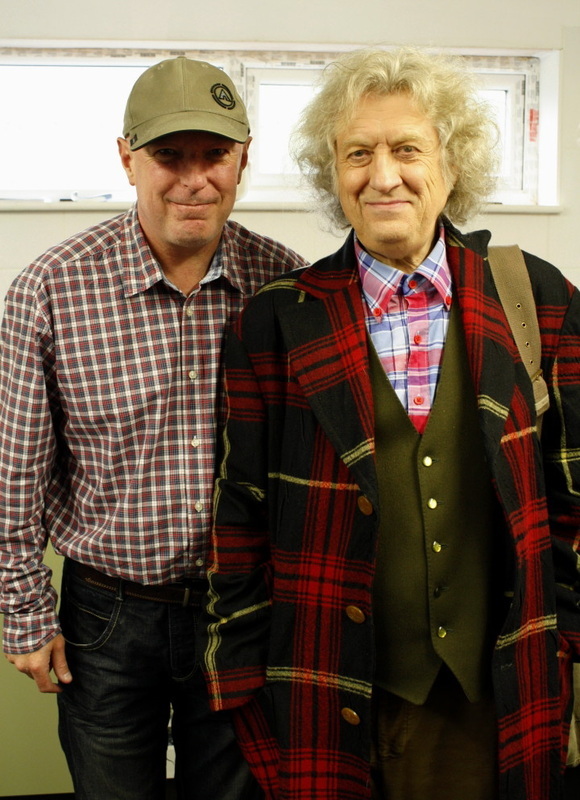 Since the publishing of this website I am pleased that so many Slade related people have got back in touch. My good friend from West Hampstead, Miles Tredinnick (who previously called himself Riff Regan - singer with punk band London) found my site. He mentioned it to Alan Heywood (another old friend and Don's accountant) - who showed it to Don himself on a visit to London. Subsequently, I'm now back in touch with Don, after he sent me a suprise email. 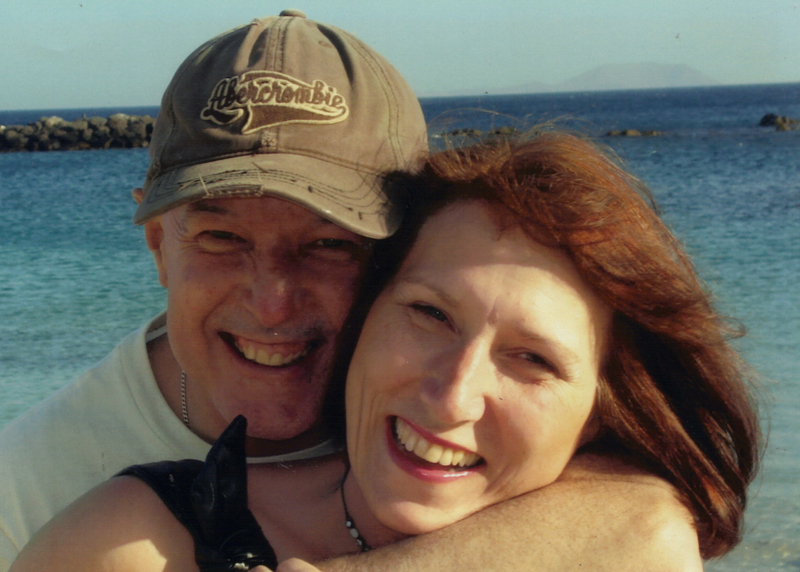 I'm also now in contact Dave Hill's sister Carol - who lives in Cyrpus. I got in touch with Carol after her son Matthew had read the site and sent me an email. Also, my first Slade Pen Pal from 1974, Mary Young from Stechford, Birmingham found the site while surfing the internet - and contacted me after many years. We had written to each other for years in the 70's and 80's - but had lost touch. Suprisingly, she had moved away from the Midlands and now lives in the neighbouring village to me in Cambridgeshire. Even Jackie Enright, who used to work at the printers in West Hampstead that I used to print the Slade Fan Club magazines, got back in touch! 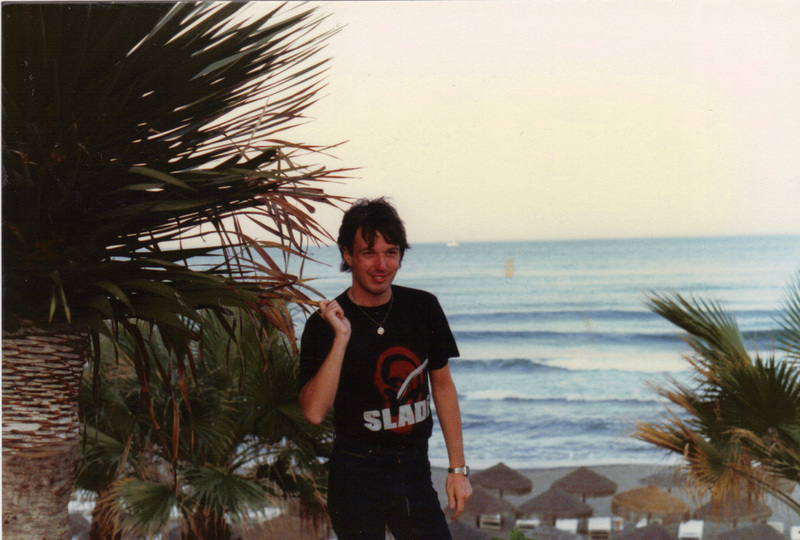 Added to that, I have now been re-united with Slade fans including Kevin Massey, Julyet Burcombe, Simon Harvey and many others that I used to travel to Slade gigs with! 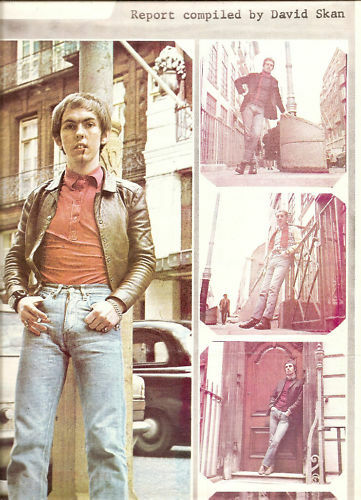 In July 2013 I was lucky enough to talk to Frank Lea (brother of Jim) in a retrospective interview about his time standing in for Don Powell - and playing drums with Slade for two gigs at the Palace Lido, Isle of Man, in July 1973. 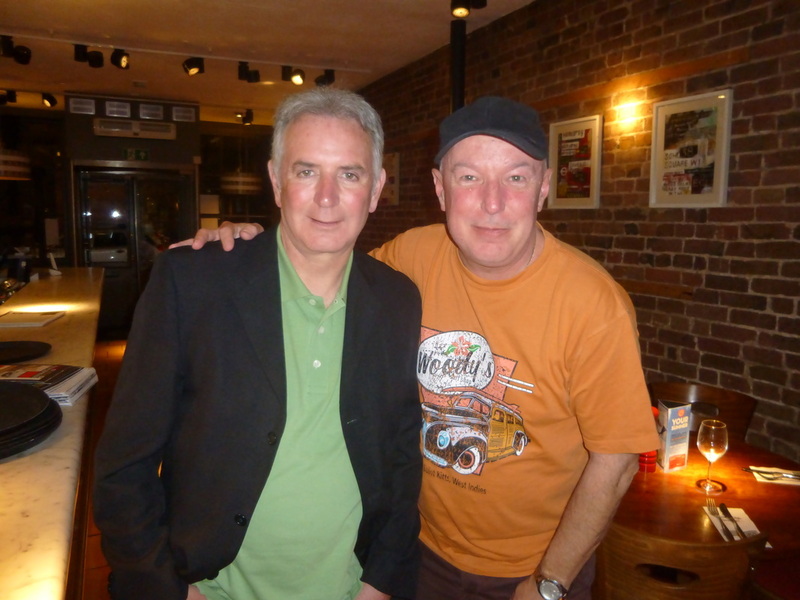 Thursday 17 December 2015 - Slade at The Robin 2 in Bilston. Click here for details. Ticket details - click here. 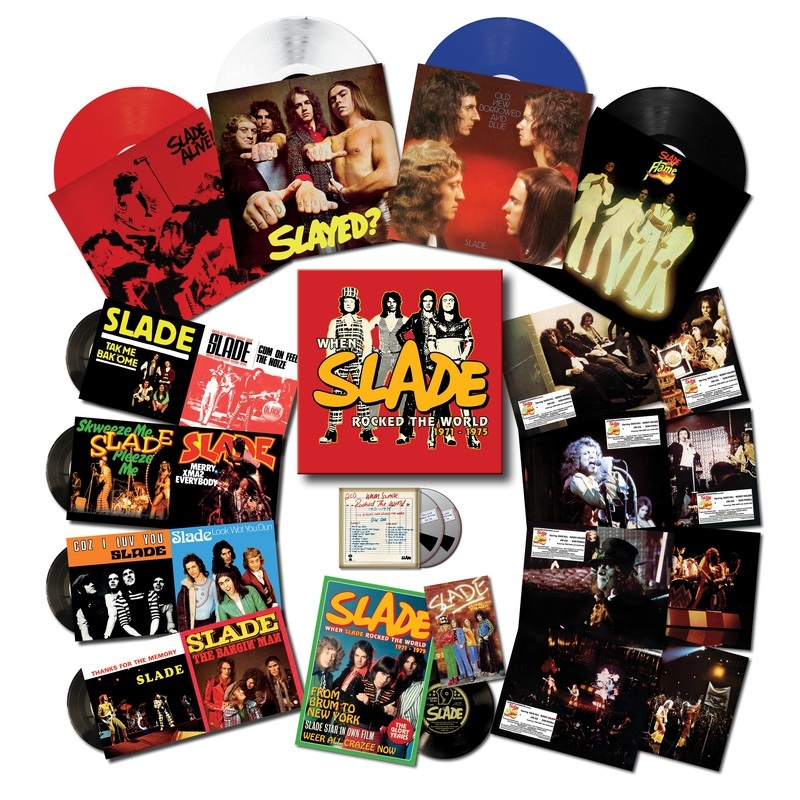 Slade are releasing a boxed set of vinyl albums and singles from the period 1971-1975. The package is to be called 'When Slade Rocked The World'. The package has been put together by Union Square / Salvo and is being sold by Pledge Music Ltd. To purchase a copy you need to 'pledge' to purchase a copy. The cost is £90 or £85, depending on the type of package you want to purchase. Website created - June 2009 - Seven Years Old!